We are often caught in a situation where we wish to control our MacBook from our iPhones. Be it a movie night on your cozy couch or music playback at your house party. Not everyone uses those big and expensive Bluetooth speakers but we still always need to have control of the media. So I found just the app that some of you might find really handy as it is all solutions under one name. Let’s see how it works. To use the iPhone as a trackpad on your Mac, we’ll use a simple app called Remote Mouse. The app has both free and paid versions which differ in services. Services like mouse controls, app launcher, portrait keyboard are available in the free version. While the landscape keyboard, media controls, and system control are all part of the pro version of the app. 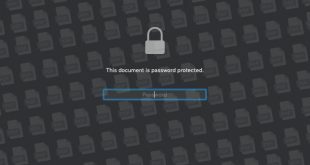 But for most parts, you can perform all necessary actions in the free version itself. To use your iPhone to control your Mac you’ll need to install Remote Mouse on both your iPhone as well as Computer. Links are shared above and both the app versions are available natively on the app store. 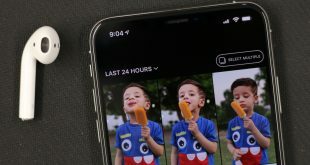 Once you’ve downloaded the apps on both the devices, open the app on your iPhone and look for connections on top of your screen. Initially, it will say ‘Connection Failed’. Tap on the marked section and you should be able to see your MacBook’s name. Remember to keep both the devices on the same Wi-Fi network. If you still don’t see your device name, launch the macOS app again. Once visible, simply tap on it to connect. If you’re not on a Wi-Fi connection you can simply tap on the ‘+’ sign on the top right corner to explore more options. You’d still need to be on 3G or 4G network though. Here you may tap on either option. Click on history to connect to the device you have previously connected. Or if you are a new user head to the other options. 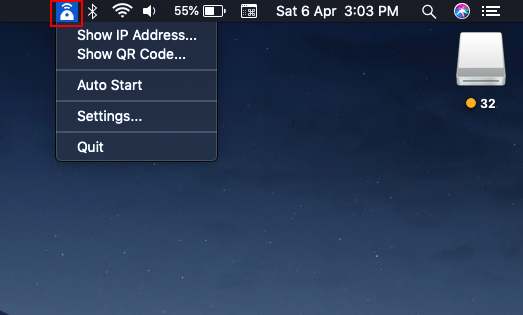 To connect the devices via IP address, first head to your macOS application. If the app is launched it’s probably sitting on your menu bar as it has no such interface. Click on Show IP Address and you’ll see a small pop-up window with the address. On your iPhone app where you tapped on the ‘+’ sign. Now select the IP address option and insert the IP address shown on your macOS app. 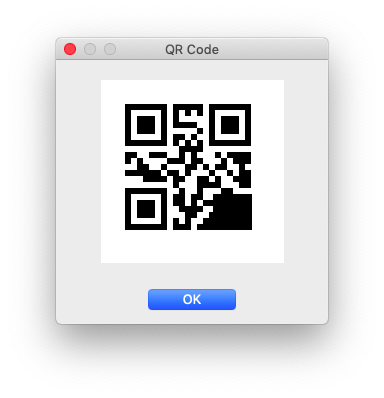 To connect via QR code, click on ‘Show QR code’ on your macOS app. A small pop-up window will appear with a QR code. On your iPhone app tap on ‘Scan QR code’. Allow the camera permission and scan the QR code on your Mac’s screen. Once your devices are connected simply open your iPhone app. The empty screen is your trackpad with a scroller on your right and mouse buttons at the bottom. You can move around the cursor, scroll pages and click links via your iPhone itself. 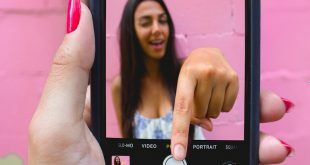 You can even make swipe gestures as you do on your Mac’s trackpad. While your devices are connected you can access the keyboard on your iPhone to input data on your MacBook. Just tap on the keyboard sign at the bottom of your iPhone app and a keyboard will pop-up on your screen. If you’re on a paid version you can even use the keyboard in landscape mode. On your iPhone app tap on the media button at the bottom to access the media controls for your MacBook. You can play/pause, rewind/forward and control pretty much all basic functions via this remote. 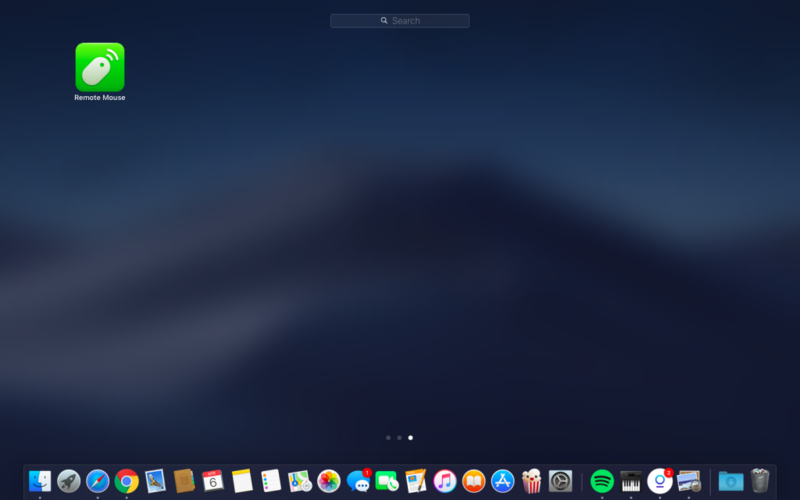 You can launch almost all the apps on your MacBook that are visible on your launchpad. Click on the app window like icon at the bottom of your iPhone app and you’ll see all the apps on your Mac’s launchpad. Click on any app to launch it on your Mac and navigate through the trackpad and keyboard. Although you already have so much control of your MacBook with the mouse and keyboard controls. But the app on your iPhone gives you furthermore control of your browser by giving you some quick control options in a special tab. Click on the browser tab of your iPhone app to the options. You can access the back button, zoom in / zoom out web pages and even tap on some quick website links that you frequently use. As if it wasn’t already more than enough, you can even take control of your Mac’s system controls from your iPhone itself. Meaning that you don’t have to get up from that couch even after the movie is finished. You can Log-off, sleep or even Shut-down your system from your iPhone app itself. It’s a paid feature again, but worth it. You and I have the same thought right now, this app should probably work on changing its name. It does more than what the name suggests and so I ended up telling you more than I intended to. But these are some gaps between iOS and macOS that most of us were looking forward to filling. Well, go ahead and try the app. Start with the free version and if it proves to be good for you, a $2 purchase will make it even better. As always let us know your thoughts and experience in the comments below.